See you at the launch of Colin O’Brien’s LONDON LIFE at The Society Club, Ingestre Place, Soho, W1 from 6pm tonight Thursday 18th June and preview the photography exhibition which runs until 1st August. 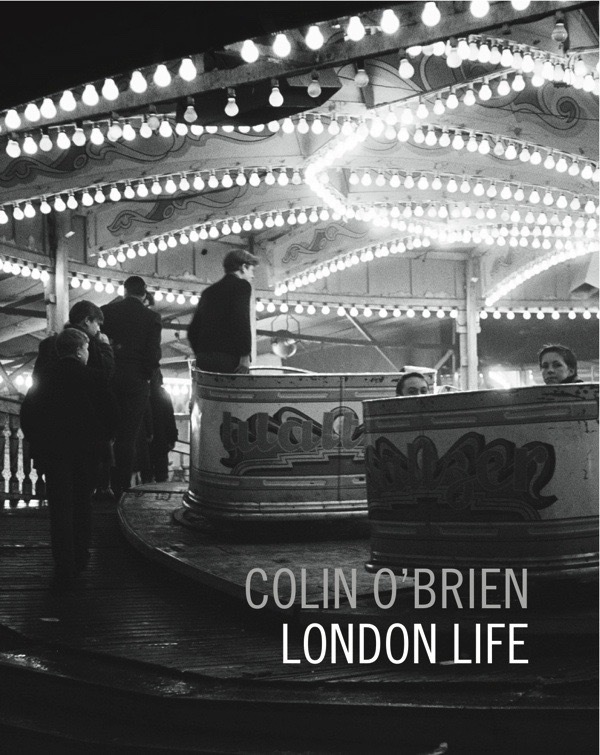 Also, on Tuesday 23rd June at 7pm, Colin will giving an illustrated lecture at Waterstones Piccadilly, showing the photographs and telling stories of LONDON LIFE. Email piccadilly@waterstones.com to book your free ticket for this. 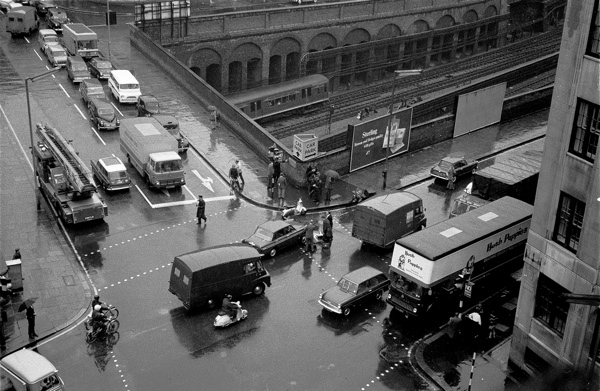 When photographer Colin O’Brien lived at Victoria Dwellings on the corner of Clerkenwell Rd and Faringdon Rd, there was a very unfortunate recurring problem which caused all the traffic lights at the junction to turn green at once. In the living room of the top floor flat where Colin lived with his parents, an ominous “crunch” would regularly be heard, occasioning the young photographer to lean out of the window with his box brownie camera and take the spectacular car crash photographs that you see here. Unaware of Weegee’s car crash photography in New York and predating Warhol’s fascination with the car crash as a photographic motif, Colin O’Brien’s car crash pictures are masterpieces in their own right. Yet, even though they possess an extraordinary classically composed beauty, these photographs do not glamorise the tragedy of these violent random events – seen, as if from from God’s eye view, they expose the hopeless pathos of the situation. And, half a century later, whilst we all agree that these accidents were profoundly unfortunate for those involved, I hope it is not in poor taste to say that, in terms of photography they represent a fortuitous collision of subject matter and nascent photographic talent. I say this because I believe that the first duty of any artist is to witness what is in front of you, and this remarkable collection of pictures which Colin took from his window – dating from the late forties when he got his first camera at the age of eight until the early sixties when the family moved out – is precisely that. 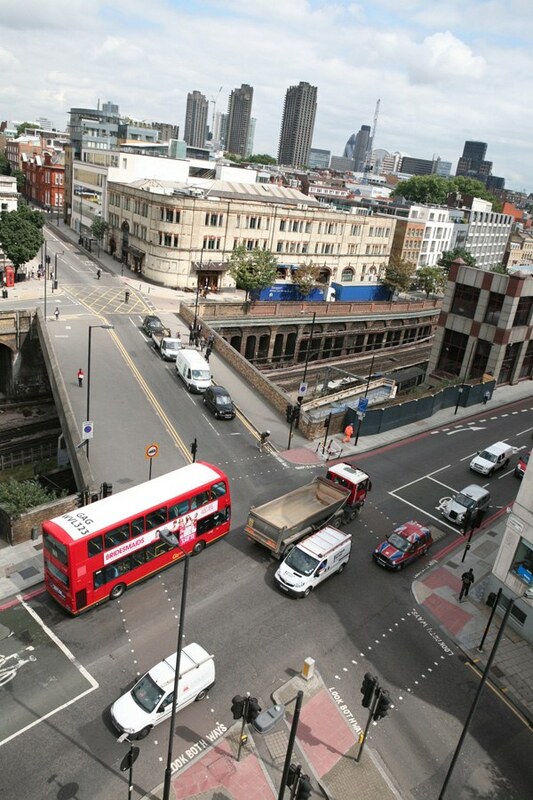 One day, I accompanied Colin when he returned to the junction of the Clerkenwell Rd and Faringdon Rd in the hope of visiting the modern buildings upon the site of the former Victoria Dwellings. To our good fortune, once we explained the story, Tomasz, the superintendent of Herbal Hill Buildings, welcomed Colin as if he were one of current residents who had simply been away for the weekend. 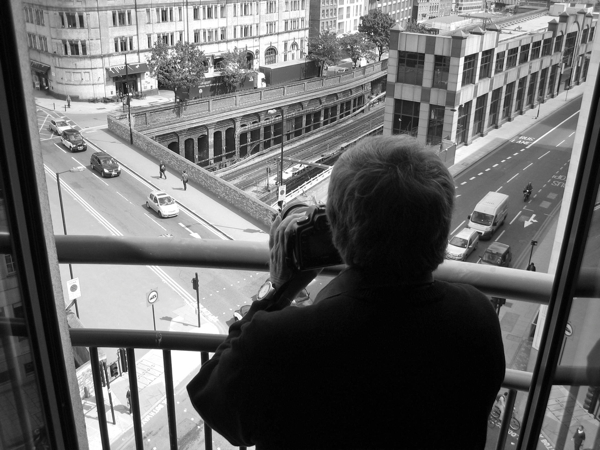 Magnanimously, he handed over the keys of the top flat on the corner - which, by a stroke of luck, was vacant at that time – so that Colin might take pictures from the same vantage point as his original photographs. We found a split-level, four bedroom penthouse apartment with breathtaking views towards the City, complete with statues, chandeliers and gold light switches. It was very different to the modest, three room flat Colin lived in with his parents where his mother hung a curtain over the gas meter. Yet here in this luxury dwelling, the melancholy of the empty rooms was inescapable, lined with tired beige carpet and haunted with ghost outlines of furniture that had been taken away. However, we had not come to view the property, we had come to look out the window and after Colin had opened three different ones, he settled upon the perspective that most closely correlated to his parents’ living room and leaned out. 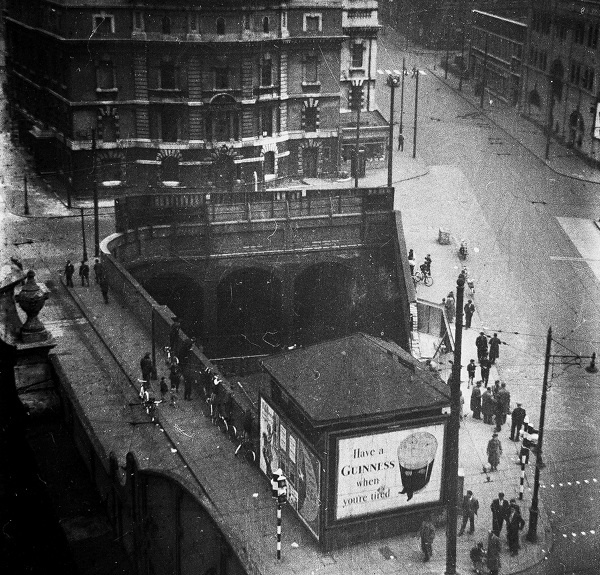 “The Guinness ad is no longer there,” he commented – almost surprised – as if, somehow, he expected the reality of the nineteen fifties might somehow be restored up here. Apart from the blocks on the horizon, little had changed, though. 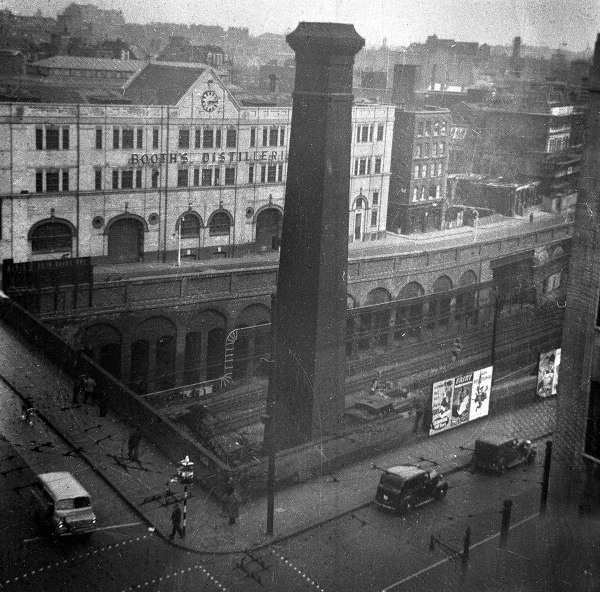 The building on the opposite corner was the same, the tube embankment and bridge were unaltered and the Clerkenwell Court House where Dickens once served as cub reporter still stands. I left Colin to his photography as he became drawn into his lens, looking back into the midst of the last century and upon the urban landscape that contained the emotional history of his youth. 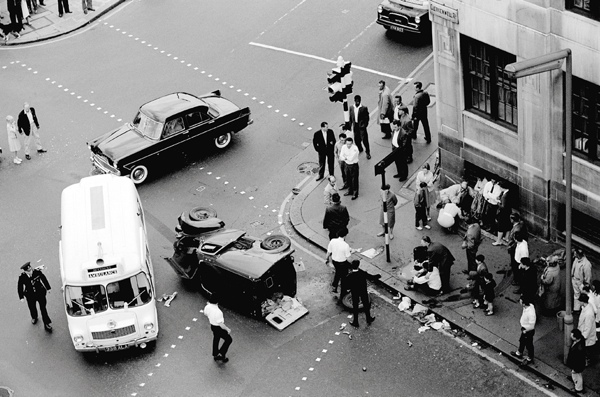 Colin O’Brien’s car crash photographs fascinate me with their intense, macabre beauty. 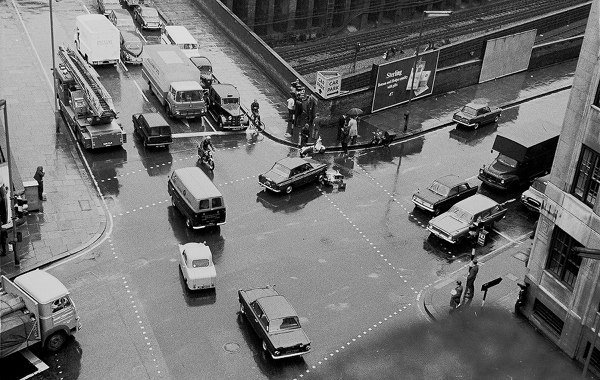 As bystanders, unless we have specialist training, car crashes only serve to emphasise the pain of our helplessness at the destructive intervention of larger forces, and there is something especially plangent about these forgotten car crashes of yesteryear. In a single violent event, each one dramatises the sense of loss that time itself engenders, as over the years our tenderest beloved are taken from us. And they charge the photographic space, so that even those images without crashes acquire an additional emotionalism, the poignancy of transience and the imminence of potential disaster. 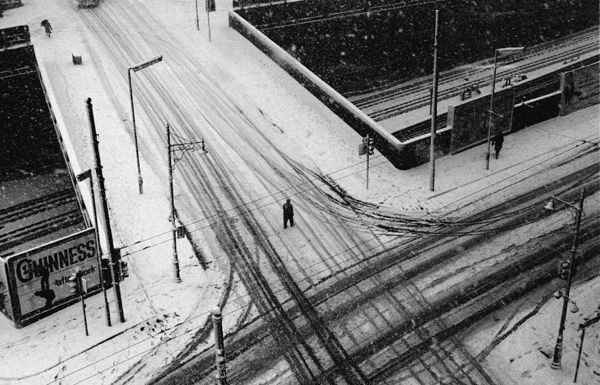 I can think of no more touching image of loneliness that the anonymous figure in Colin O’Brien’s photograph, crossing the Clerkenwell Rd in the snow on New Year’s Eve, 1961. 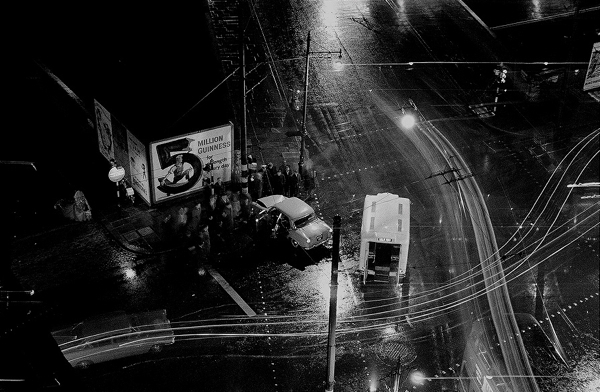 Accident in the rain, 2. Snow on New Year’s Eve, 1961. 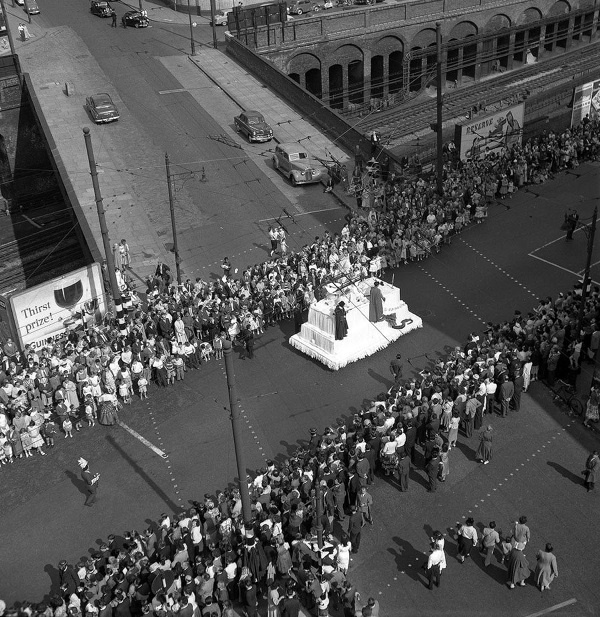 Clerkenwell Italian parade, nineteen fifties. 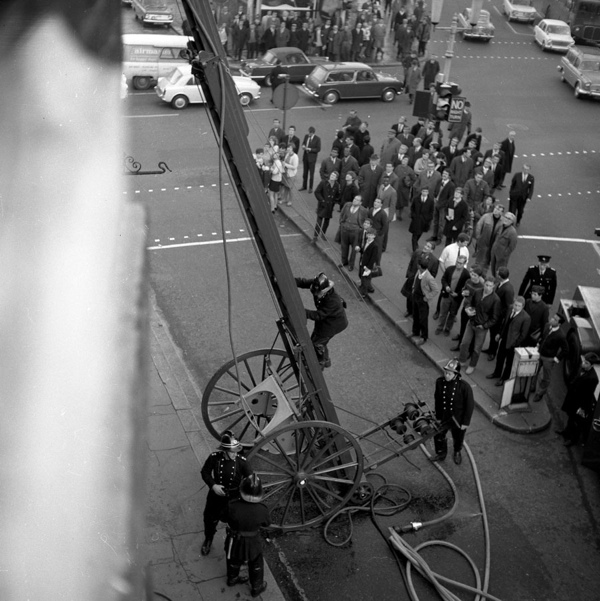 Firemen at Victoria Dwellings, nineteen fifties. 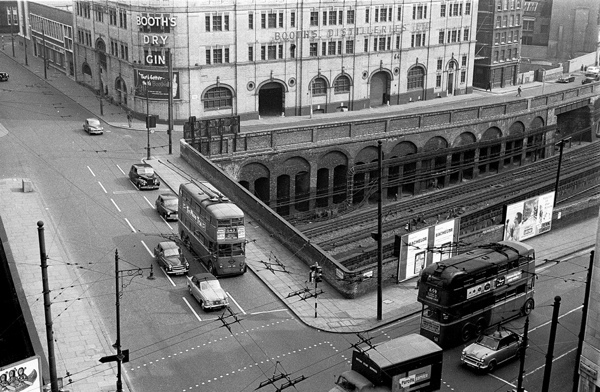 Colin’s photograph of the junction of the Clerkenwell Rd and Faringdon Rd from Herbal Hill Buildings that stand today on the site of the former Victoria Dwellings. And the change from Victoria Dwellings to Herbal Hill Buildings says a lot about the way London is going. Hope the book launch goes well. Ah, the old Booth’s Gin Distillery or as I knew it Turnmills night club. Many’s the time I emerged blinking into the bright morning sunlight from there ha ha! Another landmark that has now passed from the present into the historical record.